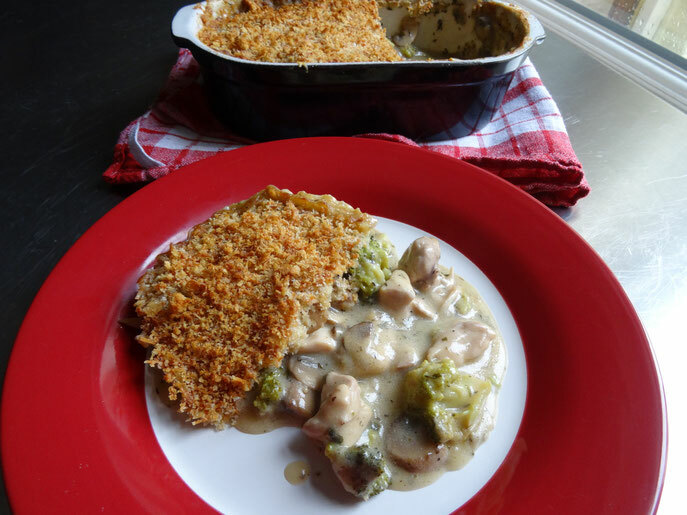 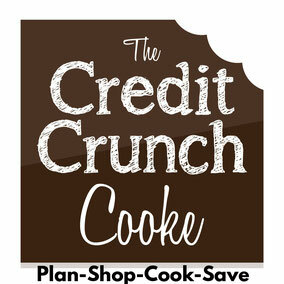 Another great family dish using store cupboard ingredients & food you can keep in the freezer! 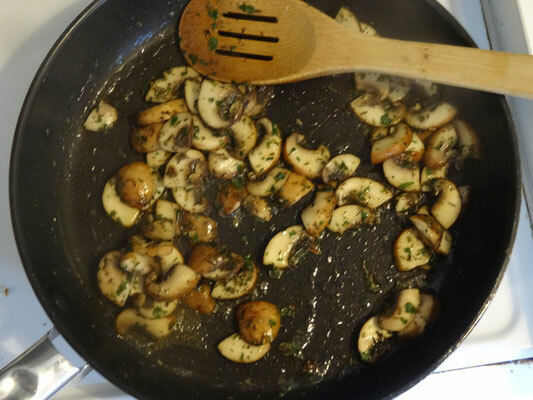 Place a large frying pan over a medium heat & add some oil. 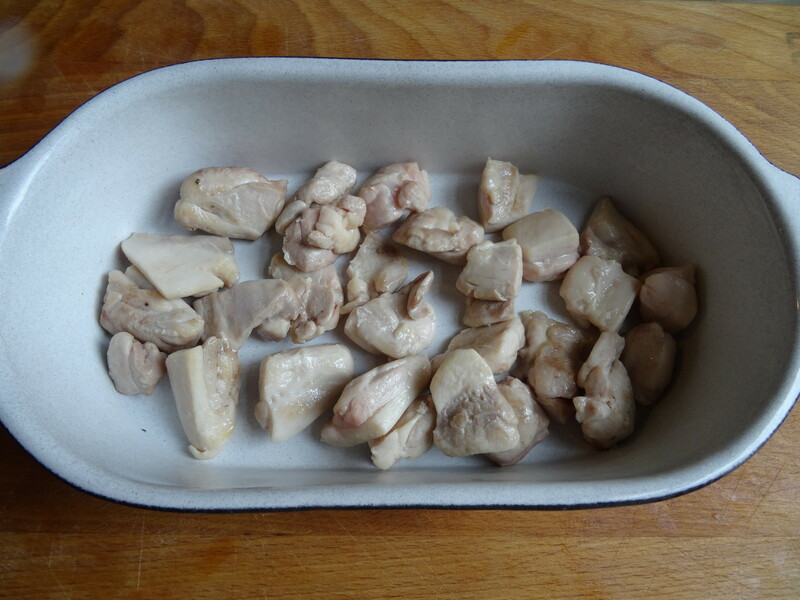 Brown the chicken & set aside. 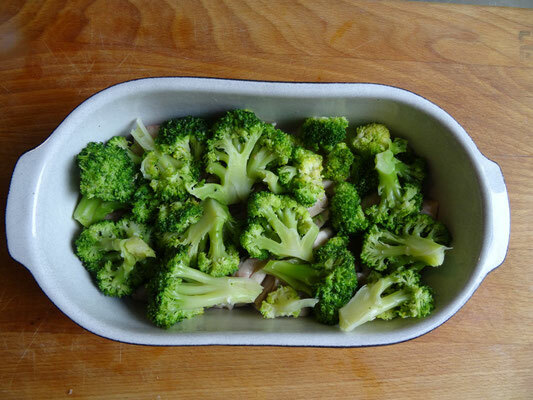 Cook the broccoli in a large pan of boiling salted water for 5 minutes, drain & set aside. Add a little more oil to the frying pan & cook the mushrooms until soft adding the herbs after 5 minutes. Pour in the stock & allow to heat through before adding the cornflour water. 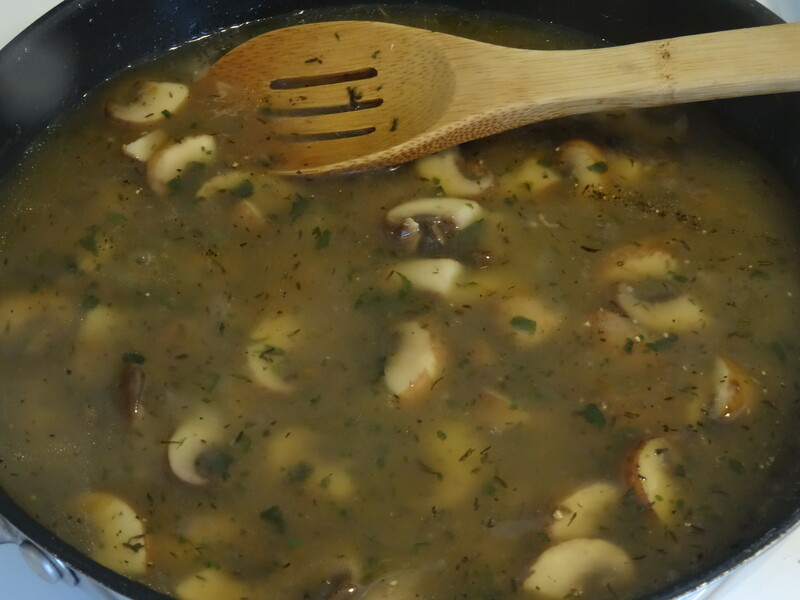 Simmer for a few minutes then season to taste with salt & pepper & crumble over the extra stock cube-stir well. 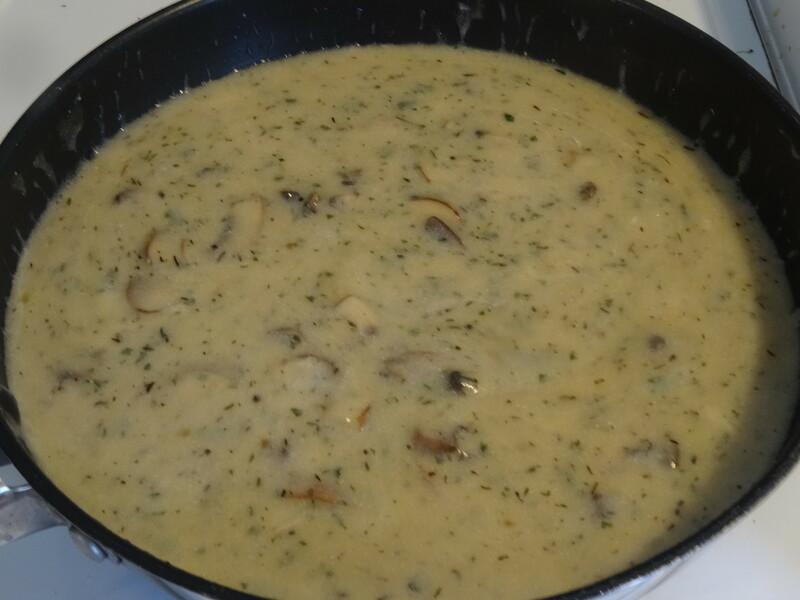 Continue to simmer the sauce for another 5 minutes then stir in the crème fraiche. 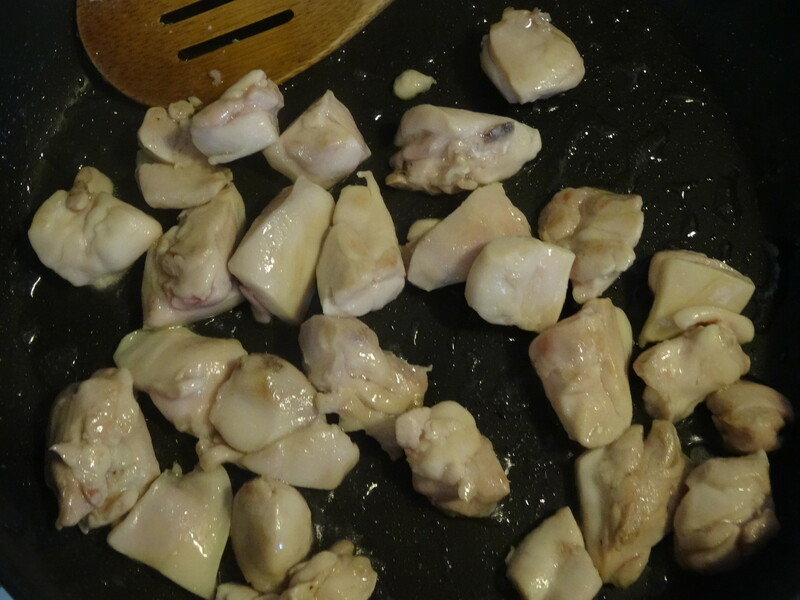 Check the seasoning again. Pre-heat the oven to 180Fan/200C/Gas6. 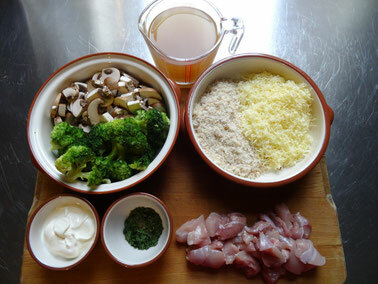 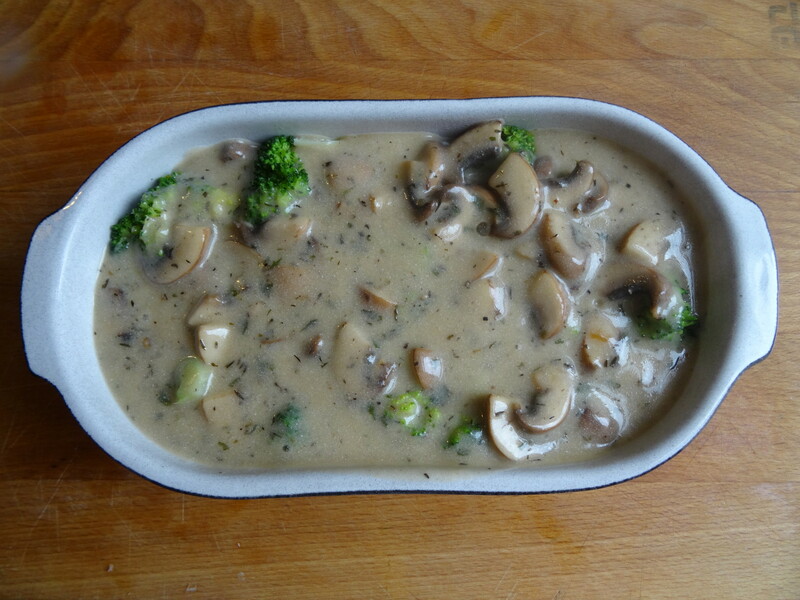 Place the chicken into an ovenproof dish then add the broccoli & carefully pour over the sauce. 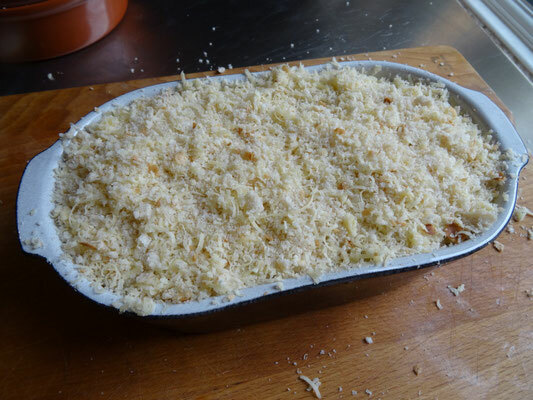 Mix together the cheese & breadcrumbs & scatter evenly over the top.